HAPPY FRIDAY! Here are a few of our faves from this week. We've gotten a local neighbourhood teenager who is a swim instructor to come a few times a week to teach the girls some swimming- a half an hour for each girl. Cass can already swim a bit but we're working on her technique! A needs all the help she can get. Only problem is that girlfriend gets so cold so fast so we've been having to teach her for fifteen minutes, take her out to warm her up for 1/2 an hour while C goes in and send her back in. We are all about the Lego here these days. 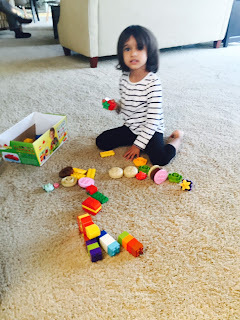 Cass is doing an Angry Birds one and A is obsessed with her mega duplo creative picnic. She can play for an hour with it-- and it comes in a box so she can toss stuff in it store it after. Grape and ketchup sandwiches, anyone? My mom gifted me some bedding for our new king size bed (the house came with a king size bed frame) in January and my mom brought it for us last month. 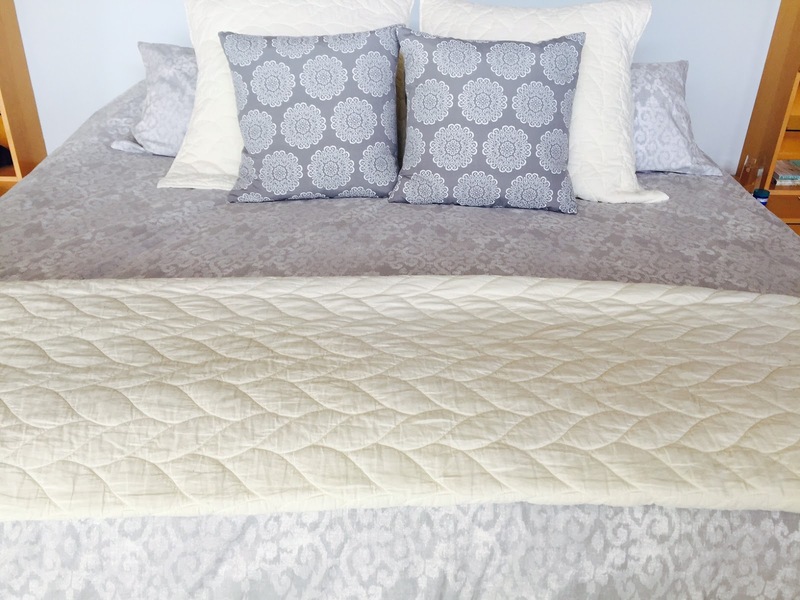 It's from West Elm when they had their huge begging and although the quilt at the bottom is accidentally twin sized, I'm loving the clean, calm look-- I'm thinking some sort of small textured pillow to complete the look. Well my in laws are leaving today (cue the ugly cry). They've helped so much since the collarbone incident and we will be forever grateful! The girls have loved spending all this time with them... think sugar and sleepovers for three weeks straight! A friend is coincidentally visiting from the US for a couple days and then my mom will be here for about 9 days! So happy for the help. Since I'm home more these days, I'm doing all these little long overdue projects like washing winter coats, scrubbing lunch bags and going crazy with my magic eraser.... FYI, great on shoes and boots to give them a fresh look. Happy weekending, friends! And to all the dads out there, especially my dad, father in law, brothers, and of course sweet, sweet D who has pinch hitted me out so, so much these past few weeks, have a wonderful Father's Day! 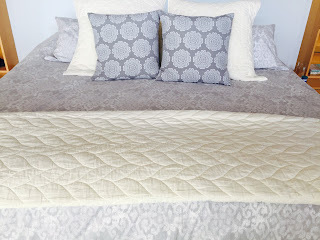 I LOVE the bedding! It's so soft and pretty looking! Will definitely have to try that magic eraser trick! Happy weekend! I love magic erasers! Especially in the bathroom! I've been thinking about getting Sofia some swim lessons. It gets so hot here in Texas that I just don't see summer without swimming. The bedding looks a lot like what I nearly purchased yesterday! Love it. 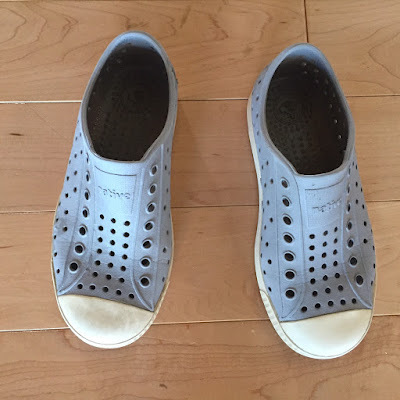 Kudos on your kids learning to swim - that is a big deal for me I also teach lessons :) OMG I should take a Magic Eraser to my son's Crocs! Thanks for sharing! I haven't checked in for a while, but I am loving the new look! I remember you mentioning changes were happening. Sorry to here the in-laws are leaving, but how exciting to have more visitors! I wish Aria liked her duplos better, they were a fave of mine as a kid. Magic erasers fix pretty much everything. Emily is the same way in the pool too. She gets so cold her lips turn purple. So thankful that it is finally warm enough we've stopped having this problem. So nice that you can do lessons in your own backyard though.